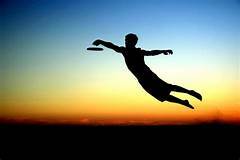 The Huntsville Ultimate Club is organizing a six week co-ed youth frisbee league, for all students in grades 7th-12th. This six week league will be played from February 11th to March 18th, with games played on Sunday nights from 5pm to 7pm at Chapman Elementary School. No experience is required, and teams will be led by a volunteer crew of experienced ultimate frisbee players.